IPAA Victoria congratulates all the Leadership in the Public Sector Awards 2018 winners, announced at a ceremony on 19 February 2019. Now into their 11th year, the awards highlight excellence and innovation of teams and organisations working in, and with, the Victorian public sector. Covering all three levels of government, this year's awards have been revised in 2018, with the introduction of four new categories and four refreshed categories. The 2018 category finalists, chosen through a panel of industry experts, are listed and recognised below. Embedding the voice and agency of Aboriginal Victorians in decision making at all three levels of government and across agencies is critical to achieving long-term generational and improved outcomes for Aboriginal communities. This award celebrates Aboriginal self-determination as enshrined in the United Nations Declaration on the Rights of Indigenous Peoples through active partnerships that are transferring policy and program decision-making and resources to the Victorian Aboriginal community. The Budj Bim Cultural Landscape, located in Gunditjmara Country, includes one of the world’s oldest and largest aquaculture systems. The Gunditjmara have pursued Budj Bim’s World Heritage listing for more than 20 years and through the help of Heritage Services, Aboriginal Victoria, the nomination has been accepted for consideration. If successful, it will mark Australia’s 20th World Heritage place. The Aboriginal Justice Agreement is a formal partnership between the Victorian Government and the Aboriginal community, to work together in reducing over-representation of Aboriginal people in our justice system. The Caucus represents the voices of Aboriginal communities and believes Aboriginal self-determination is a matter for Aboriginal people. They have demonstrated extraordinary leadership in enhancing the Government’s understanding of how Aboriginal self-determination can be fully expressed in the justice system. Hall & Wilcox are proud to sponsor the Advancing Aboriginal Self-Determination award, which reflects our commitment to supporting the indigenous community. We believe in fostering an inclusive culture within our firm and communities that seeks to enrich our society, and we are pleased to promote and celebrate our Aboriginal and Torres Strait Islander people. Smart communication has the ability to effect change and be critical to the success of government’s policies, programs and projects. This award recognises excellence in communication, both internal and external, and awards initiatives that deliver public value through innovative communication. 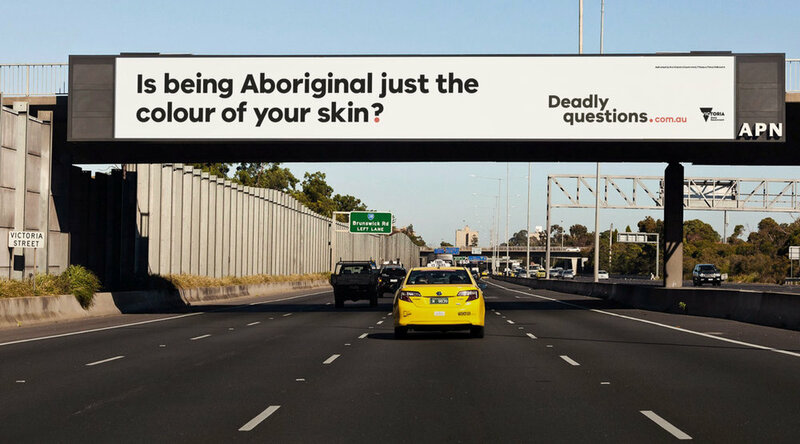 The Communications Team, Aboriginal Victoria, Department of Premier and Cabinet created the Deadly Questions project, to provide a public space for Aboriginal Victorians to discuss their history, and how it affects their lives. By providing online questions and answers, a range of Aboriginal Victorians are able to share their culture, and a greater understanding has developed between Aboriginal and non-Aboriginal people, including the issues facing Aboriginal communities. Victoria Police created the Unspeakable: Understanding Sexual Crime campaign to improve community understanding on sexual offences and encourage victims to come forward. The six-part podcast series has included reporting, investigating and victim reactions, with each episode featuring a victim-survivor of child sexual abuse. The series also included family members who bravely shared their story alongside detectives and other subject matter experts. Eyewatch is an online channel which enables communication and engagement between Victoria Police officers and their local communities. 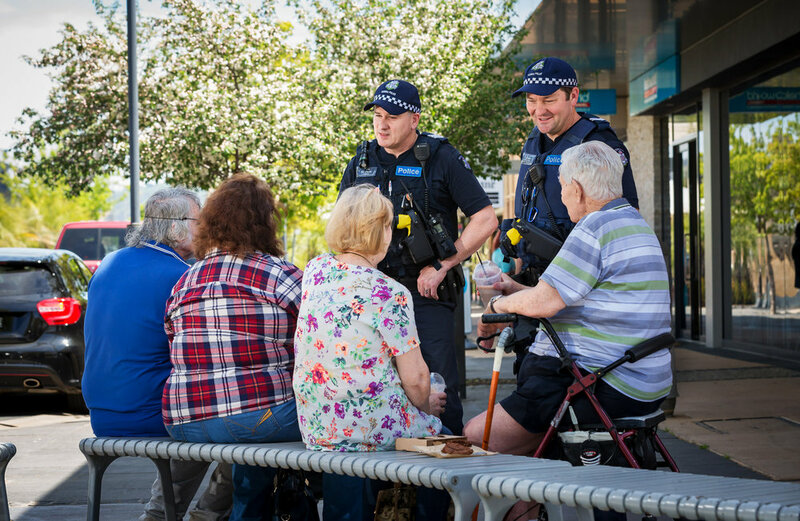 Operating in 54 regions, and with a dedicated Facebook page, the initiative empowers Victorians to be active participants in making their community safer. Managed by local police officers, Eyewatch has improved community relations, gathered intelligence and influenced behaviour change on crime prevention. The Transport Accident Commission knows the importance of strong communication to reach an audience and effect change. The TAC has a strong track record of using innovative communication to reach audiences and make Victorian roads safer. The TAC is proud to sponsor the Communication Excellence award and encourage innovative ways to connect with an audience. Policymaking is the backbone of everything the public sector does, with good policymaking helping to address long-term and ‘wicked’ problems. This award recognises excellence in policymaking that draws on a robust evidence base adopting innovative approaches to address policy problems. SafeScript, a real-time prescription monitoring system, was introduced by the Victorian Government to reduce growing harms, such as overdose deaths due to high-risk medicines. SafeScript alerts doctors and pharmacists within seconds after a prescription has been supplied, notifying on any clinical risk. The Real-Time Prescription Monitoring Implementation Team has set a benchmark in the design and implementation of an eHealth initiative, and a basis for the platform for the national system. Victoria is leading Australia in the medicinal cannabis industry thanks to the work done by the Agriculture Victoria Medicinal Cannabis Team. Having established Australia’s first medicinal cannabis cultivation production and manufacture facilities it has attracted both domestic and overseas interest, furthering investment in Victoria. As the first state to legalise access to medicinal cannabis, this has also driven national policy reform. The Social Impact Investments Pilot Program is an innovative approach to funding and service delivery in improving the lives of nearly 400 of Victoria's most vulnerable people. The pilot includes two social impact investments - COMPASS (Anglicare) and Journey to Social Inclusion (Sacred Heart Mission). The programs are outcomes-based to investors, aimed with achievements in improved health and well being, reduced criminal activity and stable housing for program participants. The Department of Premier and Cabinet is delighted to sponsor this award. DPC is proud to lead the Victorian Government’s efforts to enhance, steward and support a range of evidence activities across the public service. These efforts will be guided by the release of the Evidence Reform Statement, which will provide a systematic approach to transforming how the VPS generates, uses, and shares evidence to enhance public policy and inform decision‑making. Public services are the interface between the community and government; the community cares about public services and depends on their delivery. This award recognises novel and successful approaches to service delivery, adopting a human-centred approach to better engage the community and achieve enhanced public outcomes. 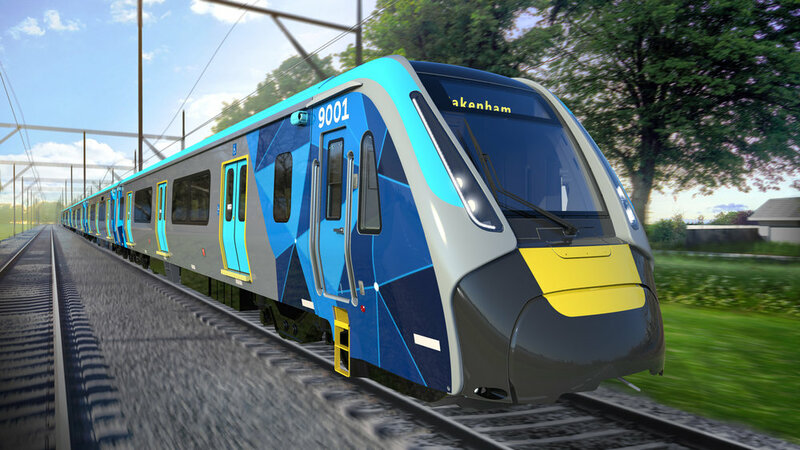 The High Capacity Metro Trains (HCMT) Project is the largest train order in Victoria’s history, with a new fleet of 65 High Capacity Metro Trains expected by 2023. Their design involved 32 groups, including 17 passenger and accessibility groups, plus a range of technical experts and transport stakeholders. A key feature of the 12 month process was the production of a 40-metre life-sized model train allowing passengers and stakeholders to experience the new design. The impacts of not having an accurate and effective legal identity can create barriers in accessing government services needed for settlement in Melbourne. 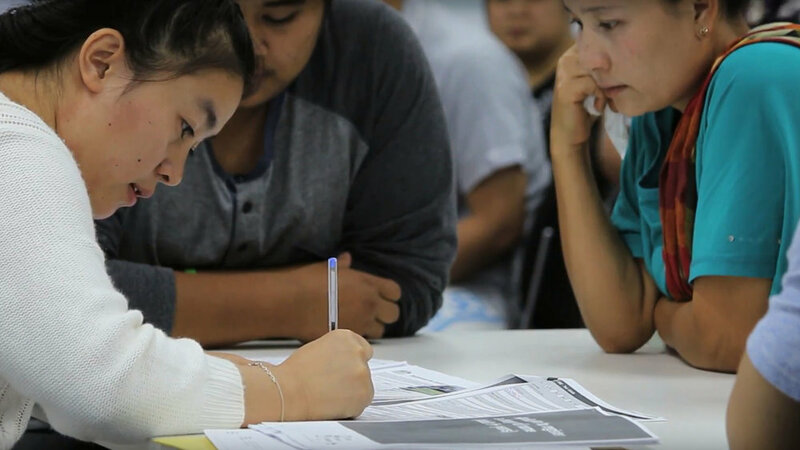 With this significantly affecting refugees from the large Myanmar community in Melbourne, Births, Deaths and Marriages Victoria (BDM) and West Justice successfully created a change of name project to assist 18 families from this community to access services and benefits that assist with successful settlement. This project has made it easier and faster to open a small business in Victoria by placing people at the centre of reforms to local government regulatory approvals processes. Small businesses share their experience of the process, with reforms designed on customer experience. The result is a suite of reforms putting the customer first. As an outcome, small businesses have opened faster, saved money and found the process less stressful. The Department of Health and Human Services is proud to sponsor the Human Centred Service Delivery award that recognises innovative, new and unique approaches to service delivery, adopting a human-centred approach to achieve better community outcomes. At DHHS, delivering human-centred services is at the heart of what we do – as we aspire for all Victorians to be healthy, safe and able to lead a life they value. Regulation is essential for the proper functioning of our society and the economy, and has a flow-on to productivity and general community well being. This award recognises innovation and excellence in approaches to best practice regulatory design and policy, and includes, but is not limited to, achieving future-oriented regulatory design and practice, regulatory reform, and high quality evidence, analysis and stakeholder consultation. HiVE, is a new digital tool providing risk assessment of licensed venues by using an artificial intelligence (AI) algorithm, to inform operational decisions. Built entirely in-house, the tool harnesses knowledge to potentially reduce alcohol-fuelled harm. By informing better decisions about the regulation and supervision of premises which have a greater risk of harm, HiVE’s technologically advanced, artificial intelligence (AI) capability anticipates risk at the licence application stage. The Inspector-General for Emergency Management (IGEM) has fostered improvements in the emergency management sector, through developing an innovative regulation framework for the Emergency Services Telecommunications Authority (ESTA). Being the state-wide call and resource centre for all emergency services, the framework centres on operational risk assessment for adverse event review. Both IGEM and ESTA share and use this risk assessment to translate adverse event information into objective assessments. The Small Business Regulatory Review Team looked through the eyes of small businesses to better understand their experiences with regulation. Rapid, co-design processes brought stakeholders together, with a focus on delivering practical reforms. The insights gained are now being used to inform future directions for regulatory reform. Once fully implemented, the reforms are anticipated to deliver savings of up to $149 million per annum to small businesses in the reviewed sectors. The Department of Justice and Community Safety sponsor this award because innovative regulation is critical for an effective public sector. The Victorian public sector must continually adapt its services to an ever-changing economic, social and technological landscape, as well as a heightened level of demand driven by increased community expectations. Innovative approaches to regulation need to be rewarded in order to encourage and sustain a dynamic and responsive Victorian public sector. In an ever-changing world, the public sector employer has an eye to the future; cultivating and attracting a highly capable workforce to respond effectively to new challenges. This award recognises that the leading public sector employer takes an innovative and holistic approach to its people: from creating a positive culture to strong leadership; from smart recruitment practices to developing employee capabilities; from rewarding and recognising success to creating robust and flexible systems; and from embracing new and digital technologies to creating safe, welcoming and supportive workplaces. Westernport Water have created a diverse, inclusive and healthy workforce with a strong employee engagement and a high-performance culture. The organisation has invested in a range of initiatives to prioritise workplace health and safety and develop leadership capability, while continuing to maintain high quality water and wastewater services. Some of their initiatives include a Reconciliation Action Plan, Diversity and Inclusion Plan and cultural awareness and unconscious bias training. Employing up to 570 people, the State Revenue Office Victoria has achieved a 96 per cent approval rating in customer service excellence. Their internally developed program, Sweet Enough has created a measurable improvement in staff health, while other initiatives such as the I-Think staff suggestion scheme, Excel Awards, active social clubs and the popular social responsibility committees have helped achieve high levels of staff satisfaction. The Disability Employment Strategy 2018-2020 provides a framework to strengthen opportunities for people with disability. Developed by the Diversity and Inclusion Unit, it includes increasing employment, retention and the development of people with disability. The strategy’s success includes removing barriers from recruitment advertising, collaborating with the VPS Enablers Network, conducting Auslan workshops to develop sign language capability, and appointing an Executive Disability Champion for Access and Inclusion to lead change. Fisher Leadership is proud to sponsor the Leading Employer Award for creating the public sector work forces and workplaces of the future. We applaud the strong leadership demonstrated in the sector in creating agile and inclusive workplace practises. Leaders who view talent differently are enabling an accelerated future of work. Good public sector governance not only ensures that a public entity achieves its objectives but that the community can have faith in the public sector to act with integrity. This award celebrates new and innovative approaches to public sector governance; the processes and structures by which public entities are directed, controlled and held to account. Having established the Education State Student Advisory Group, and by overseeing the Regional Performance Review regarding policies and programs, the Department of Education and Training’s Education State Board (ESB) Cross Portfolio Strategic Integration Unit has delivered an integrated reform approach across the three education sectors, including early childhood, schools and higher education and skills. This includes overseeing the Regional Performance Review action and targets, and establishing Education State Student Advisory Group. The City of Greater Geelong Enterprise Risk Team have taken a new and innovative approach to risk management by embedding organisational resilient strategies to support the development and implementation of a risk framework. Based on both Victorian and International standards, the CoGG is continuing to develop an Australian first organisational resilience framework. Taking a risk event-based approach also gives a greater focus on control effectiveness and implementation. Through the Councillor Code of Conduct improvements, the City of Melbourne has led a review on the Code of Conduct, addressing in particular, management of sexual harassment allegations and occupational health and safety. As a governance approach, the new Code and supporting framework, represent a collective commitment by Councillors to hold themselves to the highest ethical standards as appropriate to public office. The Victorian Public Sector Commission is delighted to sponsor the Robust Governance Award as good governance provides the foundation for high performing organisations. It strengthens community confidence in government and gives people the authority and understanding to do their jobs effectively. Creating sustainable environments has positive outcomes not only for our shared natural environment, but for the community at large. This award recognises and celebrates innovative initiatives that achieve long-term sustainability outcomes, by supporting and empowering Victorian communities to live a more sustainable life and/or creating sustainable environments. Facing a range of future environmental challenges, including rising energy demands and risks to the natural iconic landscape, the Wyndham City Council designed the Wyndham Solar City project. By reducing energy use and greenhouse gas emissions through the large-scale roll out of Solar Photovoltaics (PV) across the council buildings, over $4 million will be saved in energy costs over the next 20 years. Open green spaces are an essential infrastructure for Melbourne. With 75 per cent of land within the city privately owned or managed, a greening increase on private property is needed to ensure the liveability of Melbourne into the future. The Urban Sustainability - Urban Forestry and Ecology Team have successfully increased greening across private property through the Urban Forest Fund, including new open spaces, tree planting, green roofs, walls, facades and water sensitive urban design projects. The Department of Health and Human Services Rooming House Upgrades Program has revamped the model of care provided to St Kilda’s Elenara House. With poverty and social exclusion daily challenges for homeless people, this project has used thoughtful design, care and collaboration to produce a new, sustainable housing model, giving the residents happier and healthier lives. Elenara House sets a new benchmark for clever, considerate design. The Department of Environment, Land, Water and Planning is honoured to be part of this year’s IPAA Victoria awards, which recognises the important work by those in the public service. We are proud to sponsor the Sustainable Communities and Environments Award, which aligns with DELWP’s commitment to put the community at the centre of everything we do. DELWP is committed to supporting liveable, inclusive and sustainable communities, and thriving natural environments in Victoria. The finalists, and all those nominated, reflect the calibre and dedication of IPAA Victoria’s diverse membership, spanning across local government, state agencies and departments. The award winners were announced at a ceremony on 19 February 2019, and presented by IPAA Victoria President Kym Peake. See the photos!